For anyone who's interested in photography of the National Parks or just enjoys the parks, I highly recommend getting a copy of Q.T. 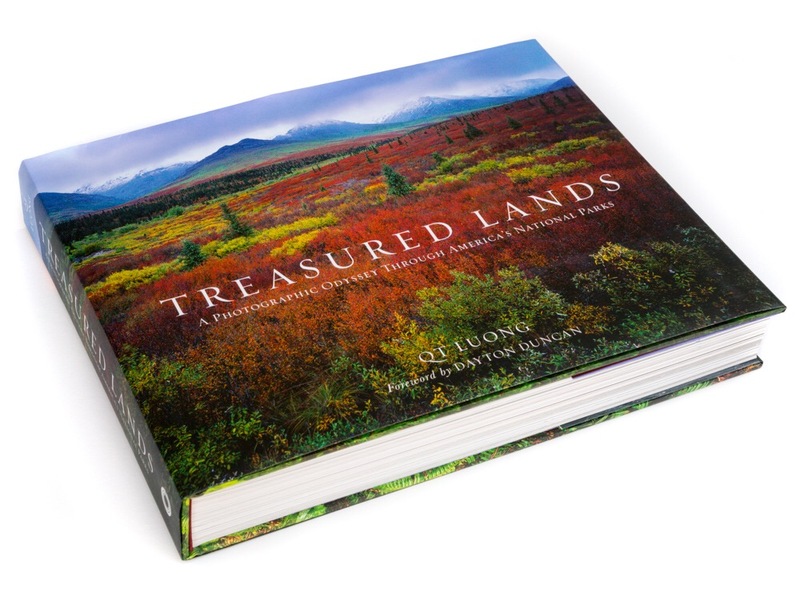 Luong's latest book, Treasured Lands: A Photographic Odyssey Through America's National Parks. I had the pleasure of reviewing a pre-production copy of Treasured Lands which is scheduled to arrive on October 1st. The short version of the review is the book is well organized and written, the images are absolutely stunning and the location info for each location is great. Copies are available in both regular autographed editions and a limited edition directly from the author. Amazon and Barnes & Noble also have it available for pre-order. For a longer review, click the image of the book below.